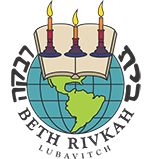 Beth Rivkah is pleased to announce that our school photo is now available for purchase. Contribute to help the education for the future of our Children! Registration for 5780 coming soon!